I will say it loud and proud: I’m a Gleek! It may be the dream that my life will one day randomly break into song or the one-liners I get from watching the show each week, but I can’t get enough of Glee! 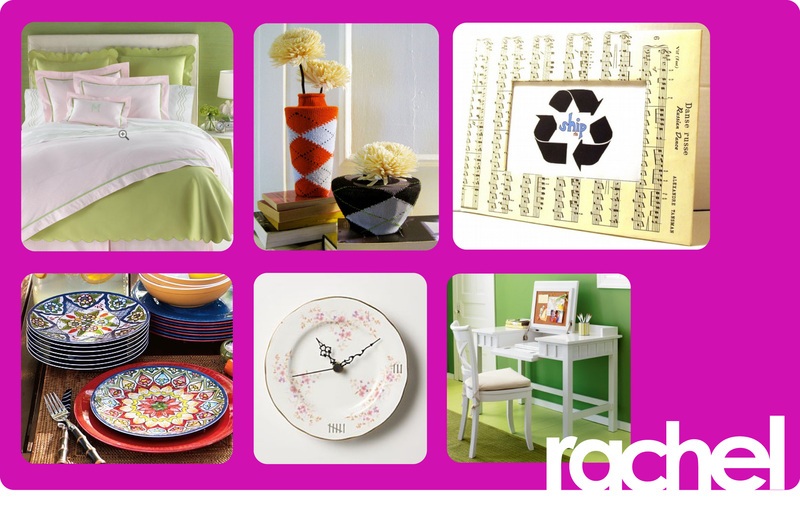 With the return of Glee for the spring season, I have been inspired to create a few home Glee inspiration boards. It is hard to argue with the pure genius of the musical sitcom humor of Glee, from the snarky Sue Sylvester to obesessive compulsive Emma. Inspiration for the home lies within every perfect detail of the show, from the bold red and yellow of the show’s logo, to Rachel Barry’s preppy argyle and Sue Sylvester’s track suits. Keep reading to find out how you can Gleek out your home! 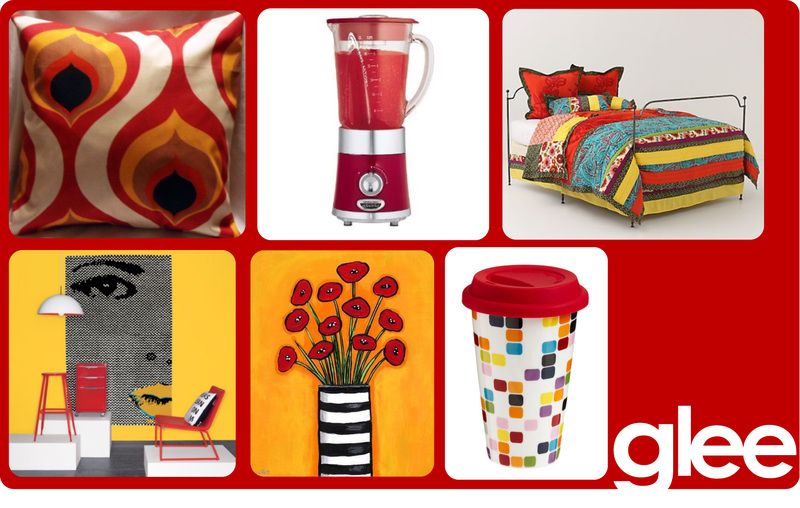 It is pretty hard not to feel uplifted with the red and yellow color combinations, perhaps it makes you want to break out in song. 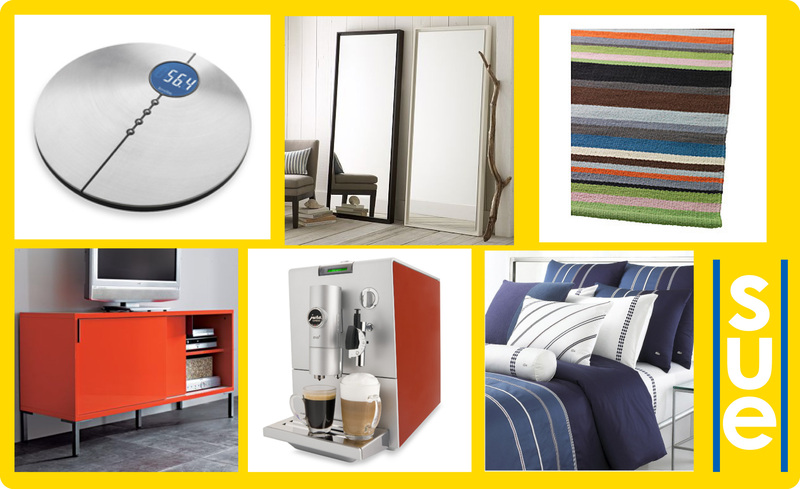 Choose anyone of these items or mix and match throughout your house. Make your own slushies with the Hamilton Beach red blender. But I suggest drinking them over getting one in the face. Racing stripes and clipboards may not be your thing, but you can still take a thing or two away from Sue’s style. Use this sleek bathroom scale to stay on top of your game, mix yourself a shot of espresso to keep your energy boosted all day, admire yourself in these gorgeous West Elm mirrors or display your trophies on the CB2 Lobster Credenza. Everyone can be inspired by Rachel’s pristine preppy look and go-getter attitude. You may not want to wear knee-high socks or button your cardigan all the way up, but you can take her look and make it work for you. You can even DIY some argyle vases using that one sock you have lying around. How would you Gleek out your home? Ummm…. I don’t even know what to say about this. I love it so freaking MUCH!!!!!!!!!! I think we should assemble the perfect Emma-certified Pre-Kiss Kit.